Home / Blog / IT Staffing / Is It Risky to Hire Developers in UK? Is It Risky to Hire Developers in UK? Britain has always been a powerful state, and at the moment this country has shaken the world by its decision to leave the EU, which is known in the media as Brexit. Undoubtedly, these changes will significantly affect the country’s economy and the IT sector in particular. According to ComputerWeekly.com, withdrawal from the EU could be a catastrophe for the British high-tech community and jeopardize the role of London as a European center for financial technologies. Being a member of the European Union, any technological business in the UK had the opportunity to work within the European Economic Area. Brexit can limit the former freedom of entrepreneurs operating in the markets of these countries, and the negative consequences will affect not only global corporations, but also startups. The labor legislation affecting the freedom of movement of labor will not remain unchanged. The change in the legal field will also affect other areas. The withdrawal of Great Britain from the European Union most likely will be held with difficulties that can arise on the basis of changes in foreign economic legislation, which regulates the sphere of imports and exports of IT products in particular. Talking about these possible changes, it is necessary to look at the IT outsourcing trends in this country. IT outsourcing is rather popular service in the UK. As it is reported by Pa Consulting, most British companies appreciate the opportunity to concentrate on the core business among all the advantages of outsourcing. Only in 2015, British companies entered into contracts with providers of such services for £15 billion, and this figure is projected to increase. As for the current situation, all the already signed IT outsourcing contacts should be extended despite of Brexit, as it is reported by ComputerWeekly. Hiring developers in Leeds also is not a cheap service. A .Net developer earns $4,000. A PHP developer’s salary indicator can reach $3,300. An average rate of a Glasgow developer with PHP skills is $3,200. A .Net developer’s wage is estimated at $3,400. If there is a necessity to hire developers in Manchester, consider the following indicators. A .Net developer’s usual wage is near $3,000. Hiring a PHP developer to your project will cost $2,800. a .Net developer.Net developer’s average salary is $3,500. a PHP developer’s earnings are $3,200. a PHP developer’s wage can reach $3,200. If you need to find a developer in Coventry, be informed that a .Net developer’s usual payment is near $2,700 in this city. Next we will look at remunerations of developers in Belfast, which is the less than in other cities of the UK. A .Net developer’s compensation should be $3,500 per month. A PHP developer’s monthly wage is $3,200. We have analyzed average marks of Wakefield web developers and discovered that the level of wages begins from $3,000 per month and can reach $5,000 in this city according to the job offers. 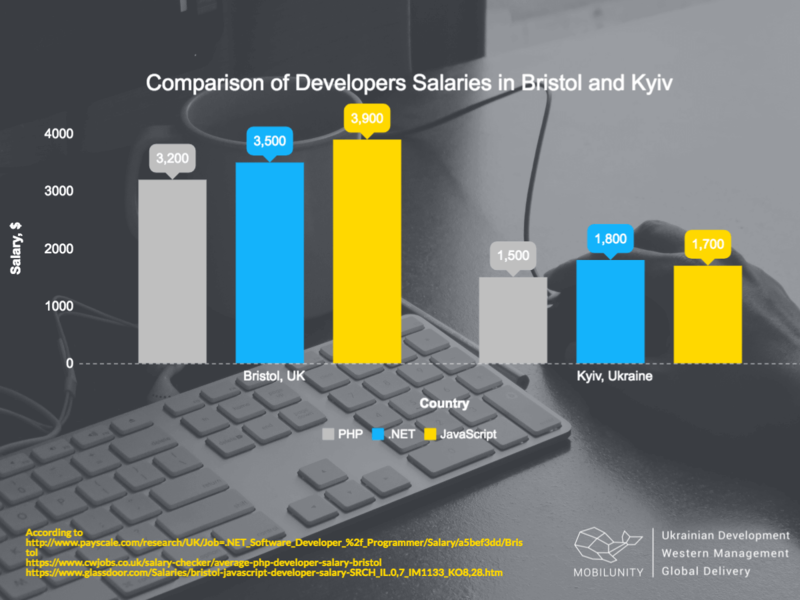 It is easy to come to the conclusion that an average developer salary in the UK is $3,300. 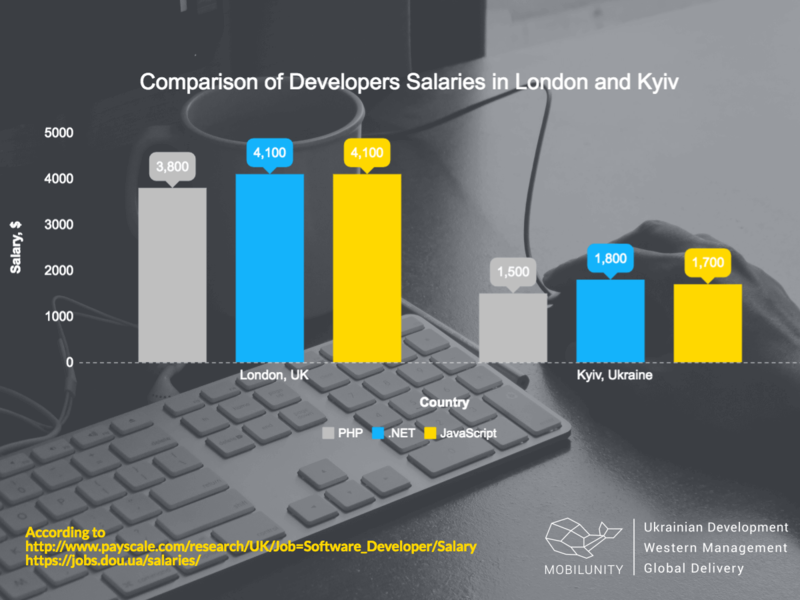 Ukrainian indicator of programmer’ wage is $1,900 per month according to the PayScale. you save paying fixed monthly rate not depending on the project requirements. 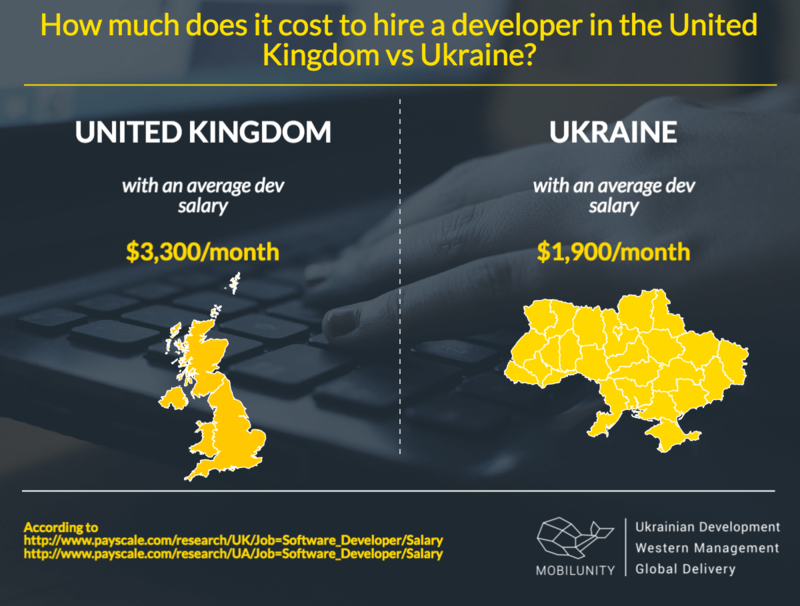 We have considered the scales of rates of Ukrainian and UK developers for hire. 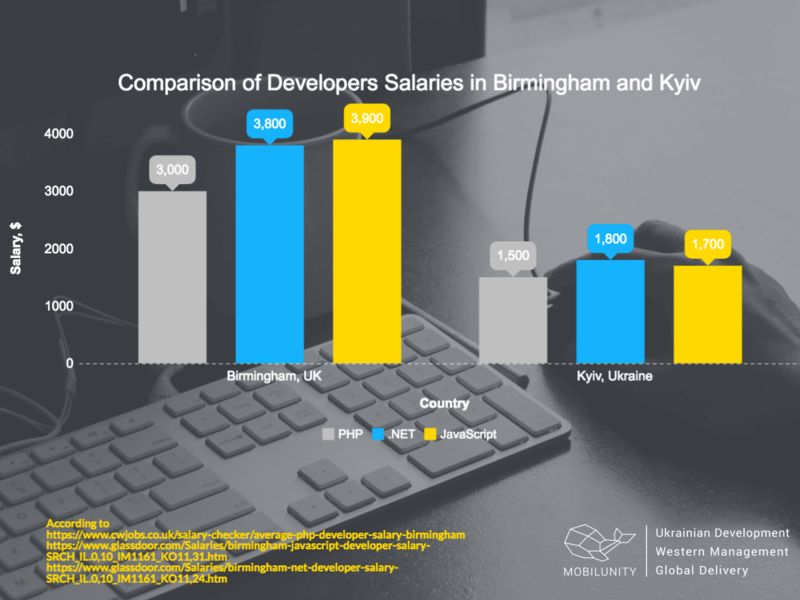 It is possible to conclude that the salary of British developers is much higher than average salary of UA programmers. It is also necessary to point out that indicators we have analyzed are monthly average net salaries based mainly on most popular UK and UA job boards. Thus, the real rates of dedicated developers may vary a bit, still hiring such offshoring development companies as Mobilunity, you will be able to reduce expenses paying all-inclusive fixed monthly rate. Even if you’ve already decided to hire developers in UK, consider all the benefits of our deal and get in touch with our manager right now to discover other details! Trends, Wages and Statistics: What Does a Dedicated WordPress Developer Mean?